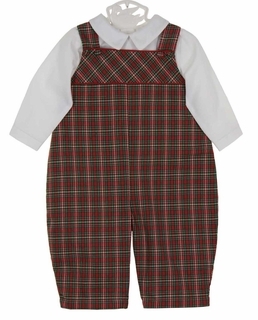 This sweet little red and green plaid cotton blend Petit Ami longall features a a yoke trimmed with piping made of the softest red pinwale corduroy that feels like velvet. 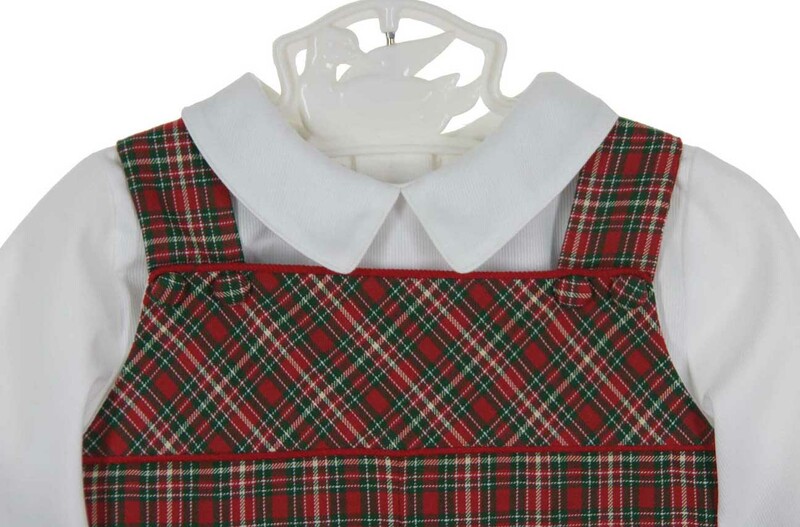 The shoulder straps have decorative covered buttons. The longall closes in the back with three buttons and snaps in the crotch for easy changes. It even comes with a matching white pique shirt with a back buttoned closure and buttoned sleeve cuffs. The perfect little outfit for that first visit to Santa or holiday portraits! Matching baby girls dress is also available. See below.